The text contains selected quotes from the wikipedia article as a short introduction to some of the subjects discussed in Maimonides' masterpiece that I personally find highly relevant also in modern times. Read the entire article and follow the links given there for further study. Maimonide's book is available online in Word Digital Library. The Guide for the Perplexed (Hebrew: מורה נבוכים, Moreh Nevukhim; Arabic: دلالة الحائرين, dalālatul ḥā’irīn, דלאל̈ה אלחאירין) is one of the major works of Rabbi Moshe ben Maimon, better known as Maimonides or the Rambam. 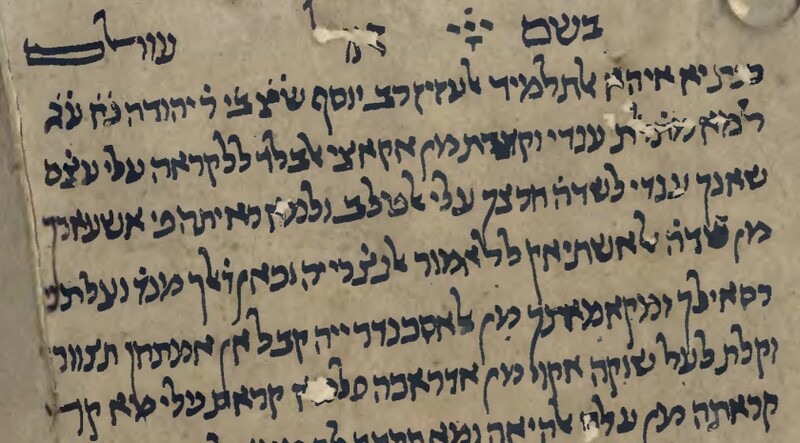 It was written in the 12th century in the form of a three-volume letter to his student, Rabbi Joseph ben Judah of Ceuta, the son of Rabbi Judah, and is the main source of the Rambam's philosophical views, as opposed to his opinions on Jewish law. Since many of the philosophical concepts, such as his view of theodicy and the relationship between philosophy and religion, are relevant beyond strictly Jewish theology, it has been the work most commonly associated with Maimonides in the non-Jewish world and it is known to have influenced several major non-Jewish philosophers. Following its publication, "almost every philosophic work for the remainder of the Middle Ages cited, commented on, or criticized Maimonides' views." Within Judaism, the Guide became widely popular, with many Jewish communities requesting copies of the manuscript, but also quite controversial, with some communities limiting its study or banning it altogether. The book begins with Maimonides' thesis against anthropomorphism. In the Bible, one can find many expressions that refer to God in human terms, for instance the "hand of God." Maimonides was strongly against what he believed to be a heresy present in unlearned Jews who then assume God to be corporeal (or even possessing positive characteristics). To explain his belief that this is not the case, Maimonides devoted more than 20 chapters in the beginning (and middle) of the first book to analysing Hebrew terms. Each chapter was about a term used to refer to God (such as "mighty") and, in each case, Maimonides presented a case that the word is a homonym, whereby its usage when referring to a physical entity is completely different from when referring to God. This was done by close textual analysis of the word in the Tanach in order to present what Maimonides saw as the proof that according to the Tanach, God is completely incorporeal. This leads to Maimonides' notion that God cannot be described in any positive terms, but rather only in negative conceptions. "As to His essence, the only way to describe it is negatively. For instance, He is not physical, nor bound by time, nor subject to change, etc. These assertions do not involve any incorrect notions or assume any deficiency, while if positive essential attributes are admitted it may be assumed that other things coexisted with Him from eternity." Unrestrained anthropomorphism and perception of positive attributes is seen as a transgression as serious as idolatry, because both are fundamental errors in the metaphysics of God's role in the universe, and that is the most important aspect of the world. The first book ends with Maimonides' protracted exposition and criticism of a number of principles and methods identified with the schools of Jewish Kalam and Islamic Kalam, including the argument for creation ex nihilo and the unity and incorporeality of God. While he accepts the conclusions of the Kalam school (because of their consistency with Judaism), he disagrees with their methods and points out many perceived flaws in their arguments. It is highly significant how Rambam is deeply immersed both in Jewish and Islamic theology. The Guide to the Perplexed gives deep insights into fundamental issues in the Theology of these two religions based on the Scriptures and, as the article says, has influenced Medieval European scholars leaving lasting impact into Christian Theology, as well. The Guide had great influence in Christian thought, both Thomas Aquinas and Duns Scotus making extensive use of it: the negative theology contained in it also influenced mystics such as Meister Eckhart. It was also read and commented on in Islamic circles, and remains in print in Arab countries.